Last week was Jason’s birthday and we were having a few friends over for dessert. 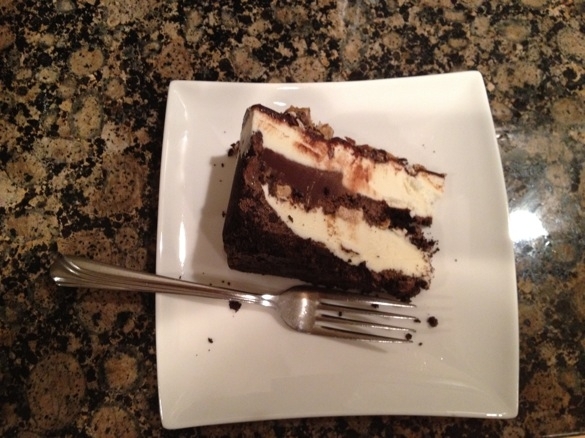 Problem…Jason doesn’t like dessert…the only dessert he likes is an ice cream cake from Dairy Queen. I know it’s hard to resist that fudgy, chocolatey, yet crunchy layer between the ice milk and the chocolate ice cream. But I wasn’t going to have friends over for a DQ cake, so I decided to search Epicurious for ice cream cake recipes that are kicked up a notch! 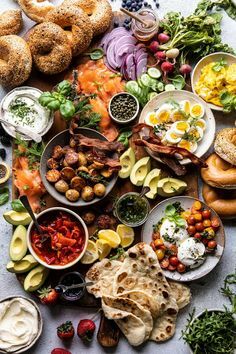 My search came back with 910 recipes!!! I zoned in on two different cakes…. Just before serving the S'mores ice cream cake you brulee a layer of marshmallows on top. That's what I'm talkin' about! That doesn't look like Peppermint. I put my own twist on this one! If you look at the recipes, you’ll notice that they both have a fudge sauce. The recipes for the fudge sauce are only slightly different, so I split the difference and made a double batch and used it for both cakes. There was plenty left over, so I put it in a microwaveable jug and heated it up and poured some on each slice and added some whipped cream. 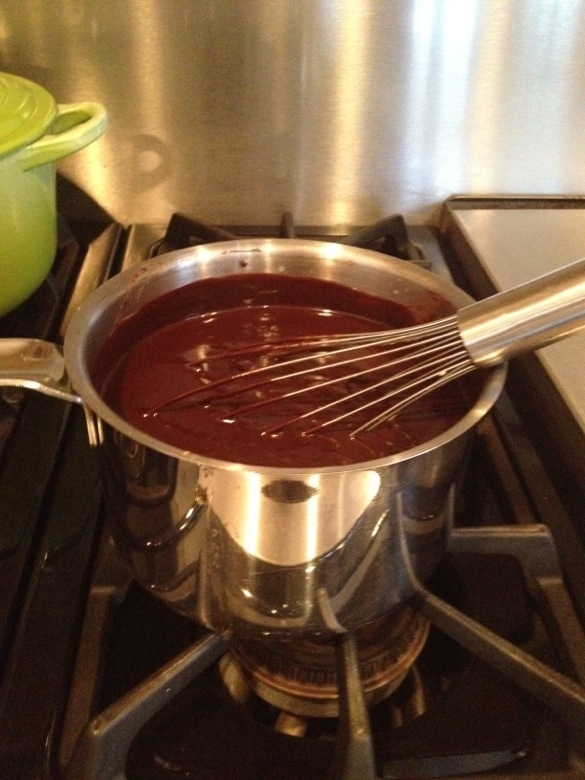 Homemade Fudge Sauce...I used this for both cakes! 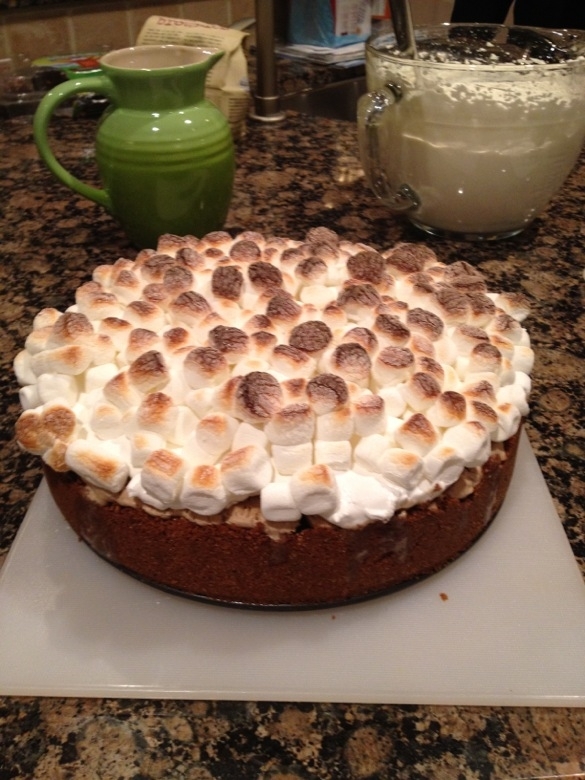 One of my favourite things about the s’mores cake was the crust. Instead of just graham crackers, the crust also had ground up toasted almonds. It just added another layer of flavour. If you’ve been reading our recipe posts, you know that I can’t just follow a recipe without putting my own spin on it! Instead of using peppermint in the Chocolate-Peppermint Ice Cream Cake, I used crushed up Milsean Dark Chocolate & Almond Demerara Butter Crunch . I pushed the toffee pieces into the layer of vanilla ice cream and added some on the very top. The centre of this cake is very similar to a DQ ice cream cake…homemade fudge mixed with crunchy chocolate wafer crumbs (if you don’t want to crush them yourselves, just use Oreo crumbs!). See that lovely layer of fudge and crunchy chocolate wafer crumbs in the middle?? Divine! 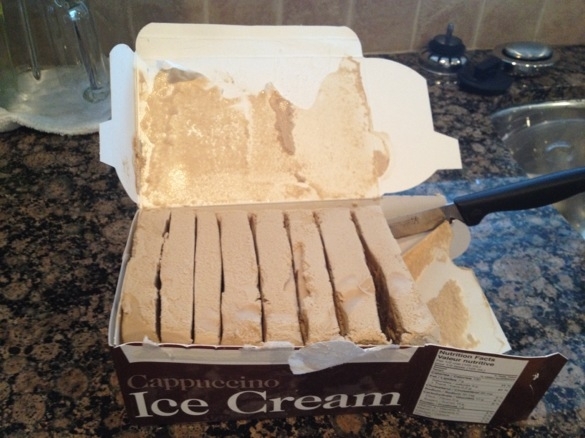 One other tip….when making ice cream cakes, I don’t buy the most expensive, highest quality ice cream because you have so many other flavours and textures in the cake. I buy the 2 litre ice cream in the carton. The bonus about this is you can open up the carton and “slice” up the ice cream making it much easier to make the layers for these cakes. You also don’t need as much freezing time between assembling the layers because the ice cream hasn’t been melted to spread it. 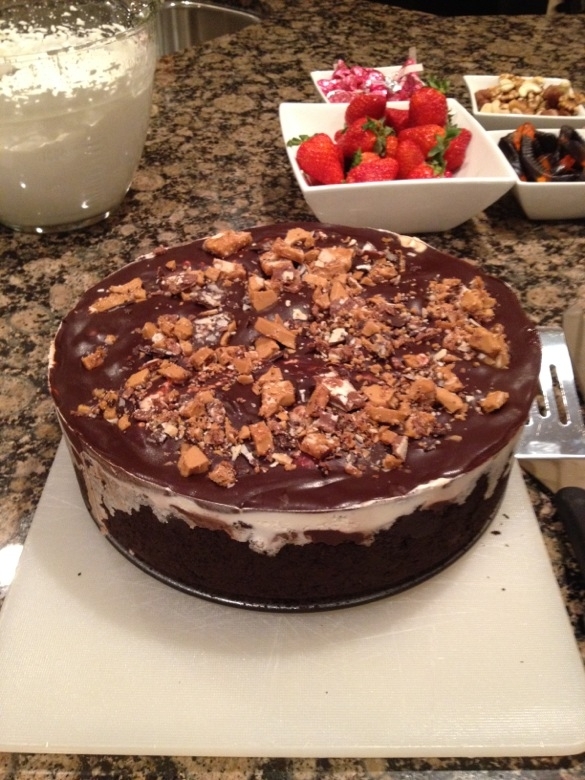 Verdict…the kids liked the S’mores Cake the best and the adults opted for the Chocolate Demerara Buttercrunch Cake. Glad I made both!